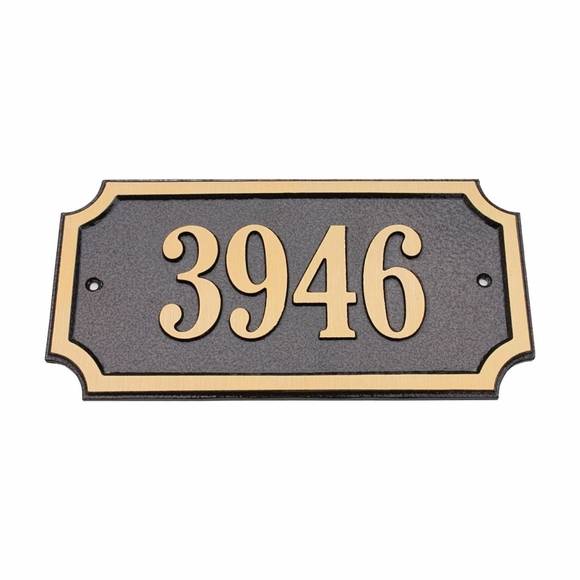 Exterior Address Plaque - - solid cast brass rectangular house number sign. 11.625"W x 5.875"H address sign holds one line of personalization, typically the street number. Wall mount. Made in the USA. Designer rectangle shape features circular cut-out corners. Dimensions: 11.625" x 5.875"; weighs 4.5 pounds.